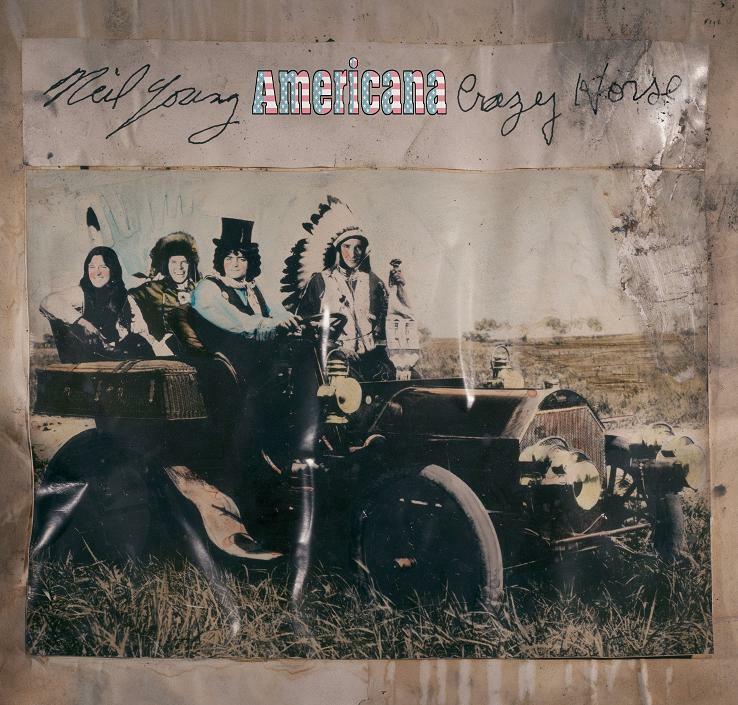 March 20, 2012 – (Burbank, CA) – NEIL YOUNG & CRAZY HORSE will release a very special album titled AMERICANA on June 5, 2012. AMERICANA is the first album fromNeil Young & Crazy Horse in nearly nine years. Crazy Horse is: Billy Talbot, Ralph Molina, Poncho Sampedro, and Neil Young. Some of these compositions which, like “Tom Dooley” and “Oh Susannah,” were written in the 1800s, while others, like “This Land Is Your Land” (utilizing the original, widely misinterpreted “deleted verses”) and “Get A Job,” are mid-20th-century folk classics. It’s also interesting to note that “God Save The Queen,”Britain’s national anthem, also became the de facto national anthem of sorts before the establishment of The Union as we know it until we came to adopt our very own “The Star Spangled Banner,” which has been recognized for use as early as 1889 and made our official national anthem in 1931. Each of these compositions is very much part of the fabric of our American heritage; the roots of what we think of as “Americana” in cultural terms, using songs as a way of passing along information and documenting our past. What ties these songs together is the fact that while they may represent an America that may no longer exist, the emotions and scenarios behind these songs still resonate with what’s going on in the country today with equal, if not greater impact nearly 200 years later. The lyrics reflect the same concerns and are still remarkably meaningful to a society going through economic and cultural upheaval, especially during an election year. They are just as poignant and powerful today as the day they were written.